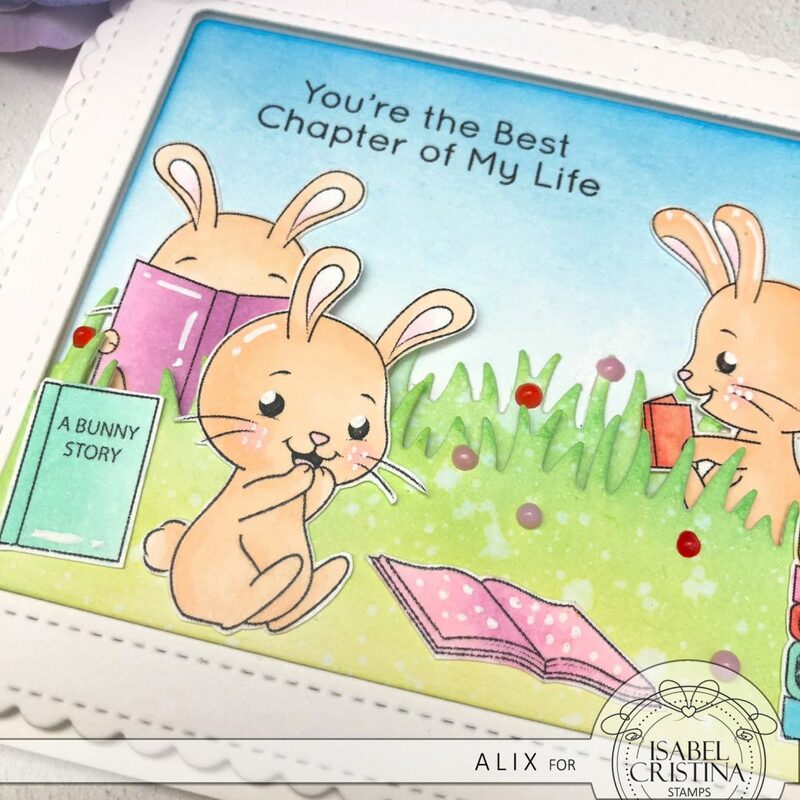 I am showing you a card that I created for Isabel Cristina Digital Stamps. 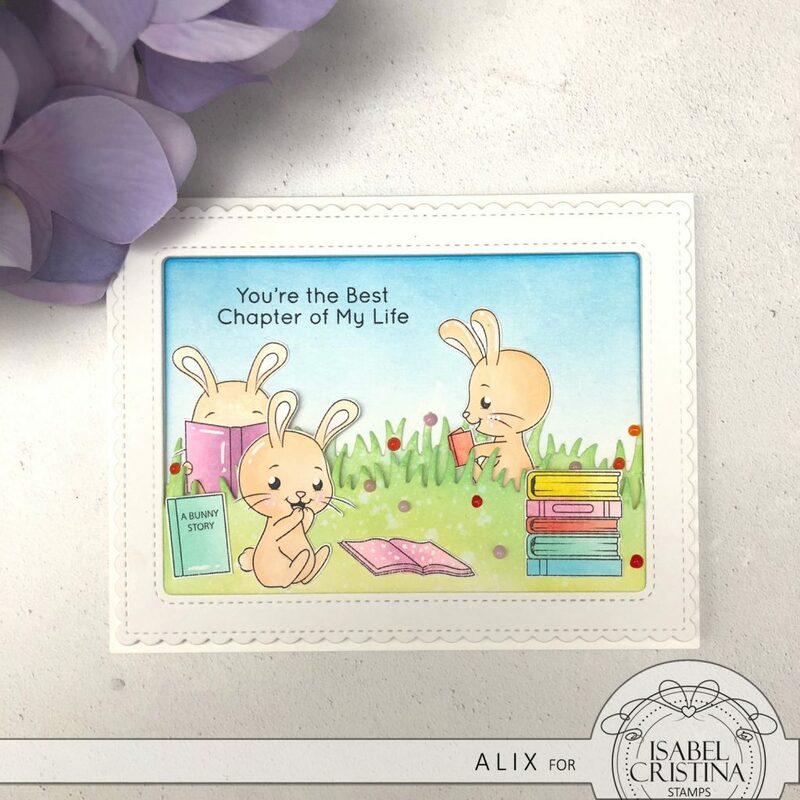 The name of this stamp set is called Reading Bunnies. Spring is finally here. It is really a love and hate situation. My daughter has been struggling with allergies and showing lots of typical seasonal allergic symptoms such as itchy and red eyes, running and stuffy nose, and such. As a mom, it is hard to see my 11 years old baby suffering and I have no solutions other than Claritin and eye drops. Now I sincerely hope for summer so my baby can feel much better. Before I am going too far with my topic, let us talk about this card. 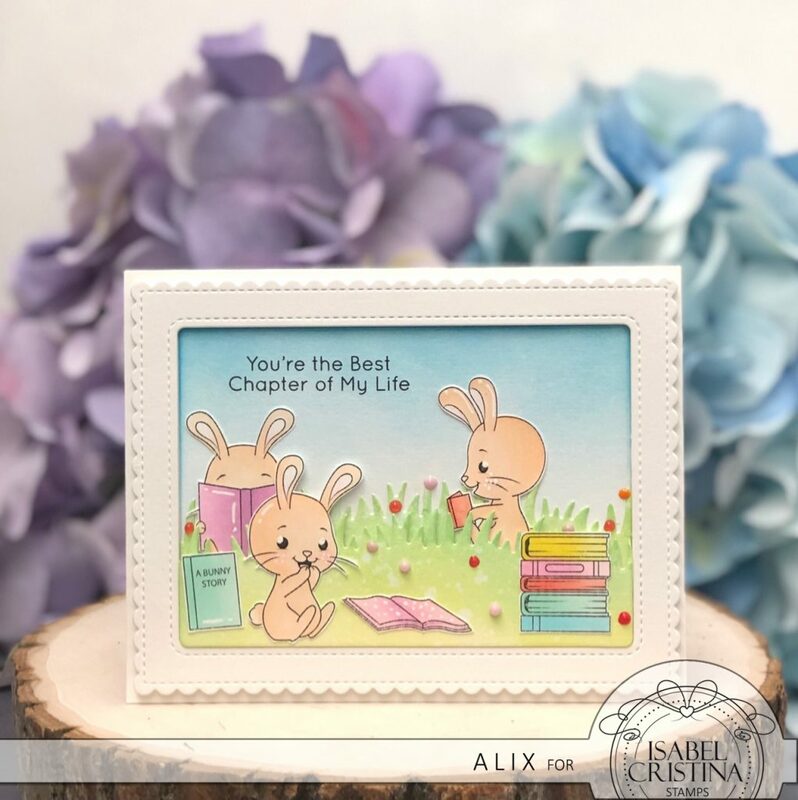 Isabel designs cutest bunnies ever with all kinds of accessory stamps, so it was a piece of cake to put them together to create a scene. I printed all images and colored them with Copic markers and set aside. Then I did ink blending technique using Tim Holtz Distress oxide in Salty Ocean on to a piece of Tim Holtz Distress watercolor paper. To create the grass, I cut them out of another watercolor paper using Lawn Fawn grass hillside border die and inked with Tim Holtz Distress oxide in Twisted Citron and Cracked Pistachio. After arranged images onto the background, I used Nuvo crystal drops in Carnation Pink and Sweet Lilac to pop up some colors in the grass. I stamped the sentiment from My favorite things Our Story stamp set using Memento ink in Tuxedo Black. At last, I cut the frame using a die from Mama Elephant Frame Tags and add it on to the background. Hooray!!! 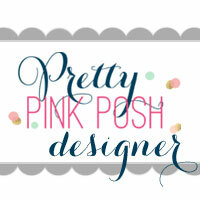 We just created a lovely card! Be sure to check out Isabel’s shop when you get a chance. 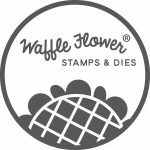 Her stamps are in very reasonable price! See you soon with another project! 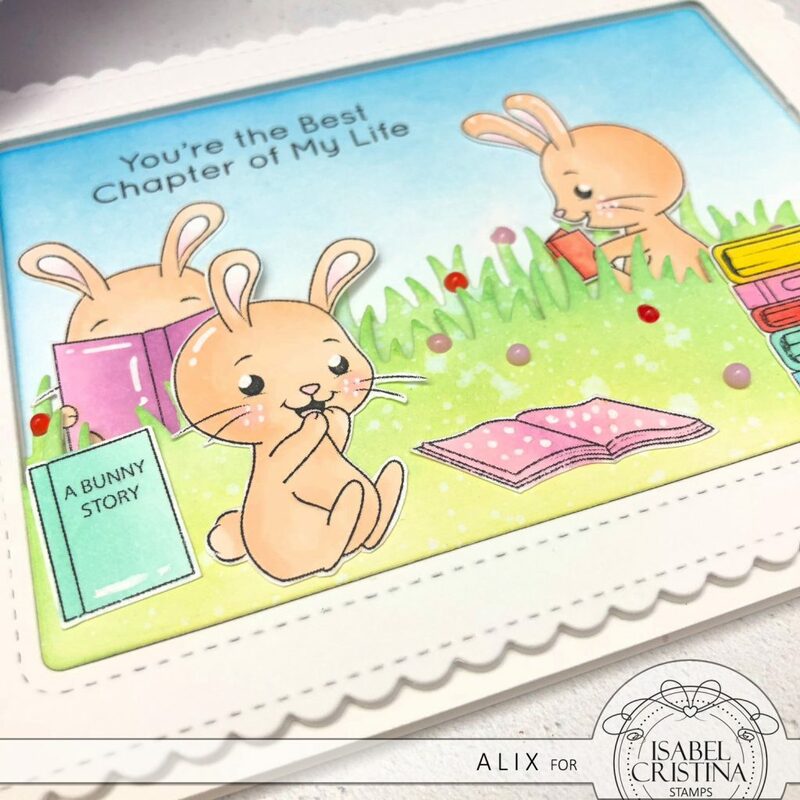 This entry was posted in Cards and tagged Bunnies, copic coloring, Distress oxide, Ink blending, Isabel Cristina. Your card is the cutest!! Thank you so much for making such a beautiful card! Thanks for designing such fun stamps!